The 3-in-1 mug press means you no longer have buy separate heating elements or mug presses in order to press different drinkware. This mug press includes heating elements for 11 oz and 15 oz mugs, latte mugs and water bottles! Makes mug printing a cinch! 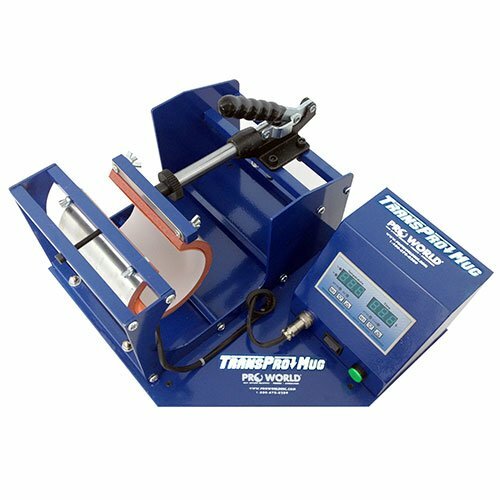 *All heat presses are not returnable except if the product was damaged or defective. In this event, please contact us for further information. If you have any questions about this product by Pro World, contact us by completing and submitting the form below. If you are looking for a specif part number, please include it with your message.